Bet your money on something else! 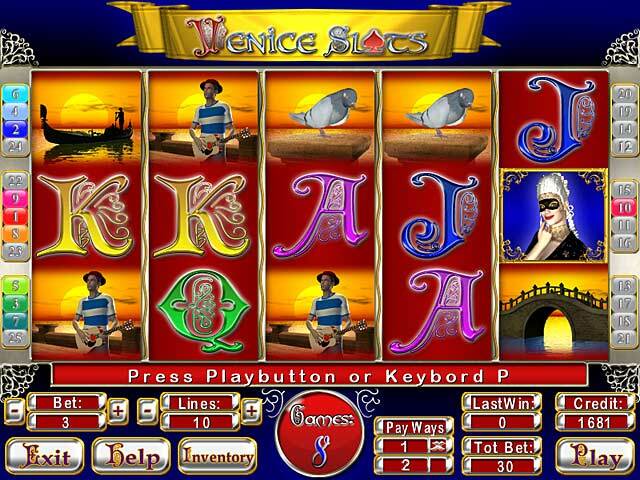 If real casino slot machines were as complicated as this game, no one would play them! 3 ways to play: (1) Casino, just like a regular slot machine -- NOT! (2) Magic -- after your spin you can rearrange any of the spots on the reels for 10 seconds. (3)Bank -- plays like Magic, but you get a higher rank the worse you score. Play to lose -- yes, sometimes it feels like that in Vegas. For all games, you start with being able to play only 5 lines and bet only 3. You have to accrue score to buy more lines and higher bets. Your score is calculated every fifteen spins. There is a bonus round if you get 3 ladies. 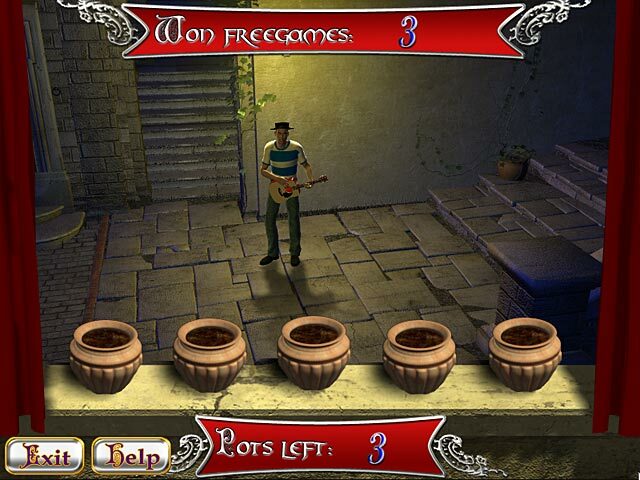 To determine the number of free games you get you throw clay pots at a gondolier. Poor guy. Bottom line -- this may be the most boring, worst video slot game I have ever played despite all the variations. If it were real it wouldn't get a penny from me! If these slot games are your thing -- they are great for totally mindless leisure activity -- try Pyramid Pays Slots II. Now if only they paid real money? This game really is awful,I mean AWFUL,boring gameplay,a really irritating bell sounding practically every time anything happens on screen,quite honestly I've seen better slot machine type games on old 8 bit computers. It's one of those games that gives you lots of "free games" a.k.a. it plays by itself. Some of the music was good but the guy playing the guitar just got annoying. Didn't buy it after trial. Gotta say this game is so unrealistic I have no idea why they call it a slot machine. I live in Vegas and if slot machines were this loose I would play them for a living lol. 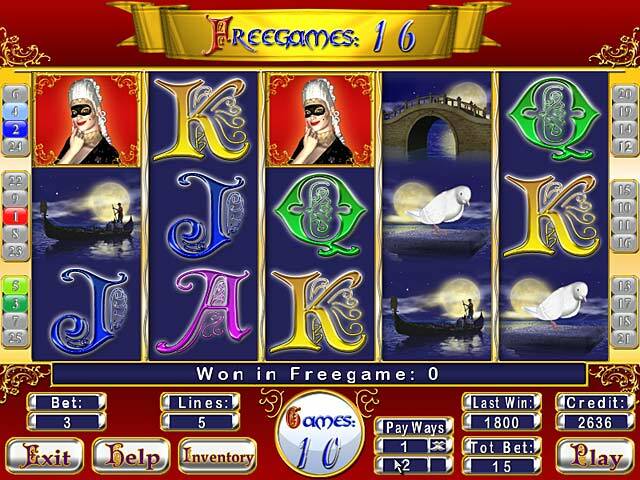 I spent as much time in the one hour demo playing free games as I did regular I was playing in casino mode. Not sure what the starting amount was but it is normally not a lot. By the end of the one hour demo I was already about to a million and a half points. This was boring, didnt move fast enough, always got the free games not leaving any playing time for challenge. Needed more bells and whistles. Over 4 million credits in one hour. Never losing? Truly a fantasy game! Boring. This game was not challenging at all and needs more and different bonuses. I love playing slots games & I have most of them but this one is really strange. I wouldn't even waste a free game on getting this one.